Munk is Mathias Modica. “One of the most forward thinking minds in the German producer scene” (Pitchfork). Mathias released 3 Munk albums on his own labels Gomma & Toy Tonics and several EPs on labels like Correspondant, Local Talk, Mule Musiq and Exploited. 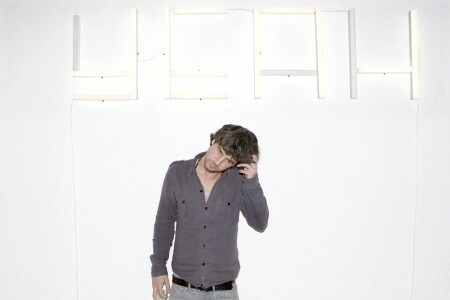 He did collaboration singles with Rebolledo from Pachanga Boys, James Murphy of LCD Soundsystem, Asia Argento, Peaches. He is a DJ, vinyl collector, pianoplayer, producer and owner of new house label Toy Tonics and Gomma records: „Germany’s most interesting electronic music label“ (The NME). Munk has a quite unique approch in music. It’s difficult to pin him down to one special scene or musical style. He always tries to find a new, different approach to electronic music. This reflects also his politics on his labels Gomma and Toy Tonics. Besides his own music he has released the debuts of some of the most interesting artists of the past years on Gomma and Toy Tonics: The Danish indiedisco group WhoMadeWho who released three albums on Gomma before getting signed by Kompakt, Daniel Avery’s first singles before he did his album on Erol Alkan’s Phantasy label, Franz Ferdinand’s Nick McCarthy’s solo project Box Codax before he started his band Franz Ferdinand, Canadian songwriter Mocky’s debut album before he wrote hits for Feist, Nu–Disco pioneer Moullinex’ debut album, the Casablanca Project with Nancy Whang of LCD Soundsystem. Munk’s remix of Lana Del Rey‘s “West Coast” went to No.1 of the Hypemachine Charts and has more than 1 million plays by now. Currently Mathias is travelling as a DJ all around the world and is recording two new albums: an experimental jazz album and an electronic project. He and his two companions at Gomma are developing the new sublabel Toy Tonics. A dance music label that Beatport chose as one of the „10 labels to watch in 2015“. In April, they will release a Gomma compilation with new forms of electronic pop music under the name of “Mushroom House” as well as a new edition of the Gomma magazine which was developed in cooperation with the German contemporary art museum Haus der Kunst.